It was a source of great frustration to me that fieldwork in eastern Australia dictated that I leave Western Australia toward the end of August. 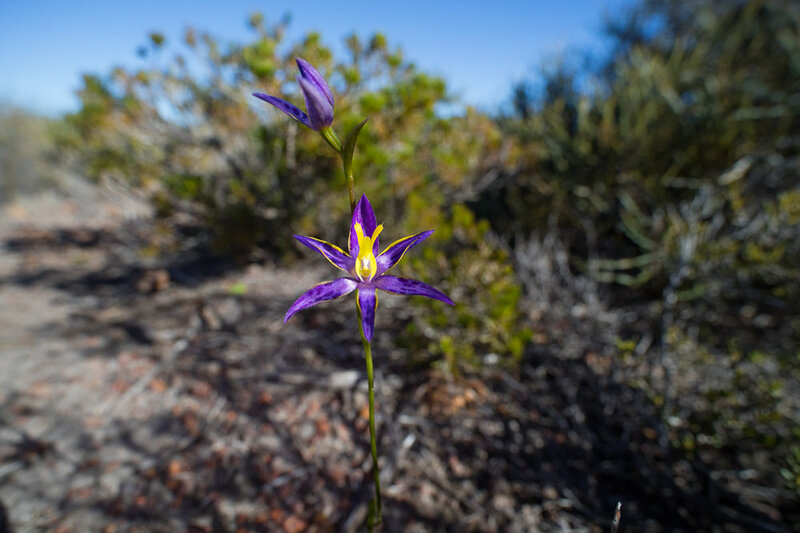 However, late August in Perth is just about when things start to heat up on the wildflower front and so again, like last year, I will miss the best of the Western Australian Wildflower Experience. Still, there are a few things to be seen in the winter months. 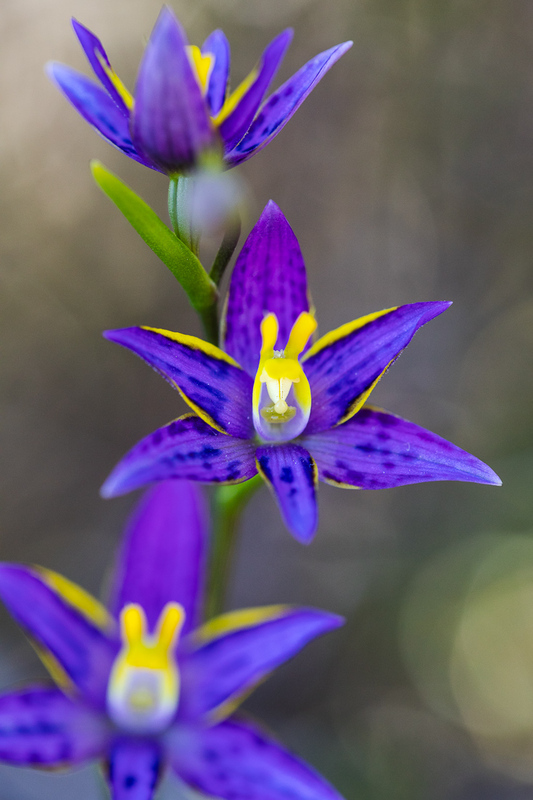 I am very grateful to Ross and Carolyn Jones, who took me under their wing and showed me some of their orchid spots within a days drive of Perth. Not only did we see many beautiful orchids, I got to experience some of the countryside that I otherwise would not have seen. 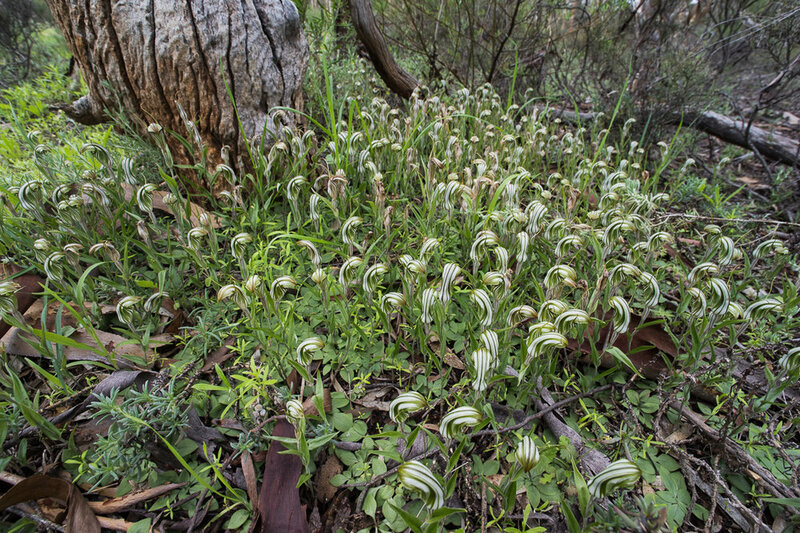 The day after I landed, and I couldn’t resist going north to visit these stunning cleopatra’s needles orchids. Still a novelty for me that sun orchids flower in winter! It was quite extraordinary to see the number of cars parked in the middle of nowhere, and the number of people walking around in the low heath searching for the tiny flowers. I saw probably 15 people in the space of several hours, and more no doubt would have come before and after me. Its obvious why so many people come to see these orchids, and obviously I put myself in this category too. But I think trampling and over-visitation is a problem for this species. The solution I guess is to be careful where you tread, try not to squash things when photographing, and limit re-visitation once you’ve seen them and photographed them. Red-veined Shell Orchid, Pterostylis hamiltonii - a rare double-header plant. 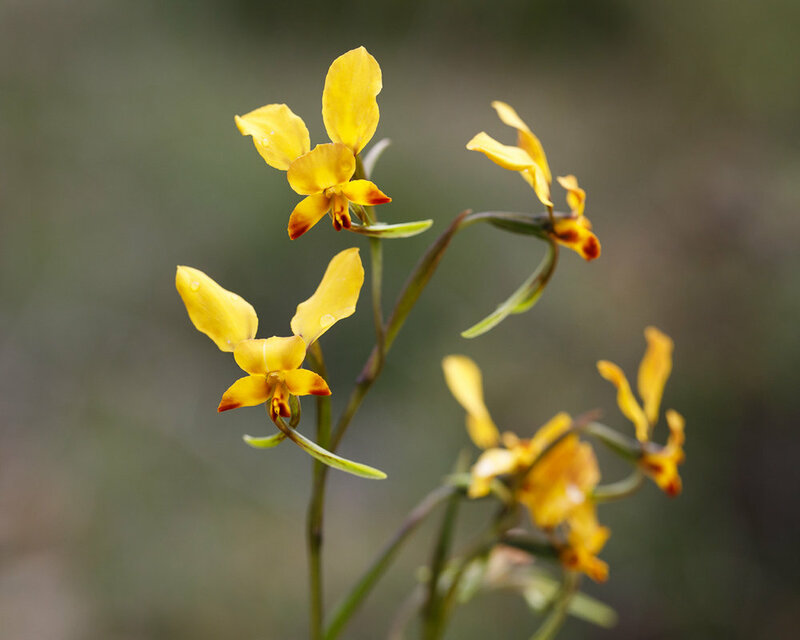 After meeting Ross on the Perth pelagic in July, I invited myself on the next orchid outing he was planning…so he and Carolyn showed me around Moora and the Wongan Hills. 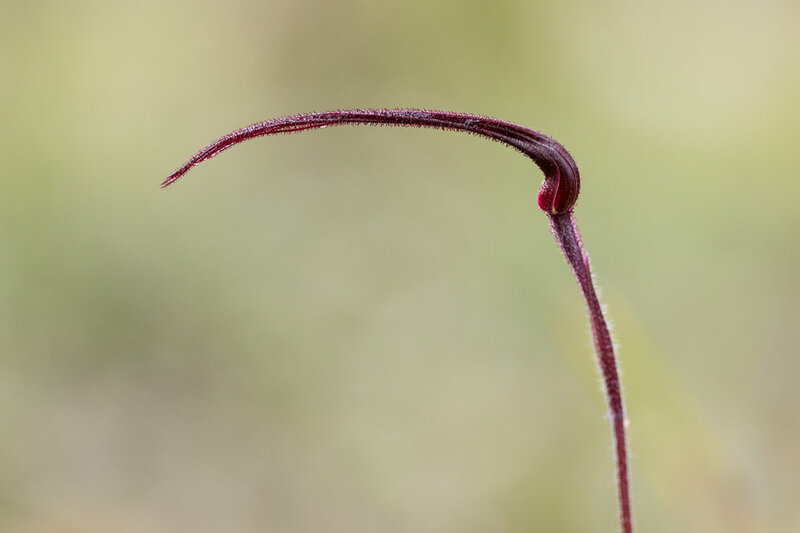 The bud of red spider, possibly Patricia’s spider orchid, Caladenia dundasiae. The shape reminds me of the beak of an ibis or some kind of crook. The little laughing leek orchid, Prasophyllum gracilie is indeed tiny. 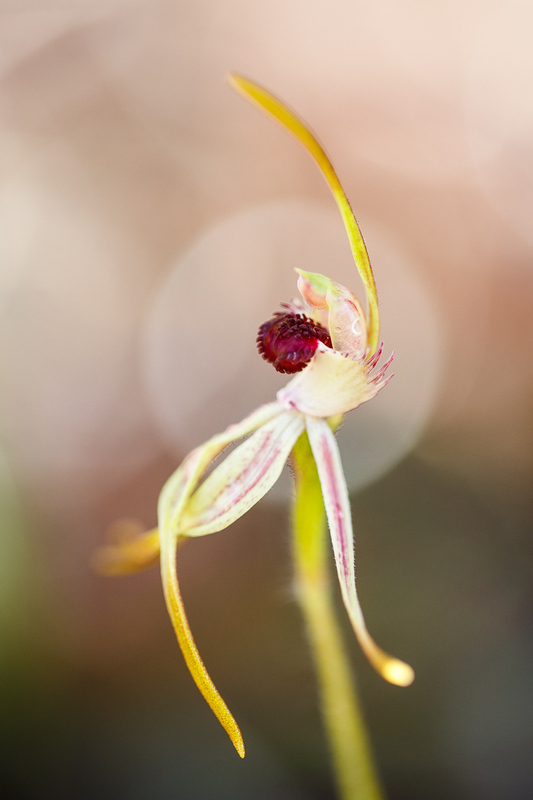 It actually doesn’t happen very often during fieldwork that I find orchids and that I have the time to stop and photograph them. This was one such time, where the morning sun created a beautiful warmth and a bright object in the background refracted to form a halo around the flower. 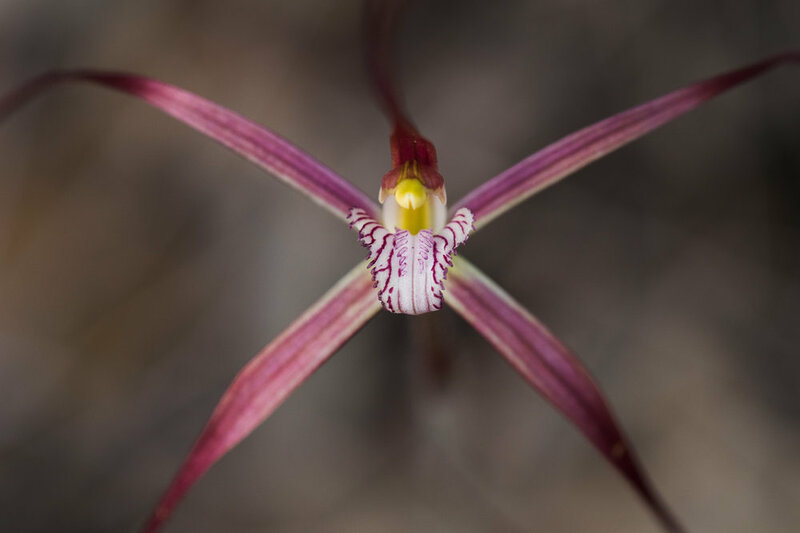 I guess Ross and Caz must have put up with me ok, so I went out with them again, this time to look for spider orchids around the Wongan Hills. 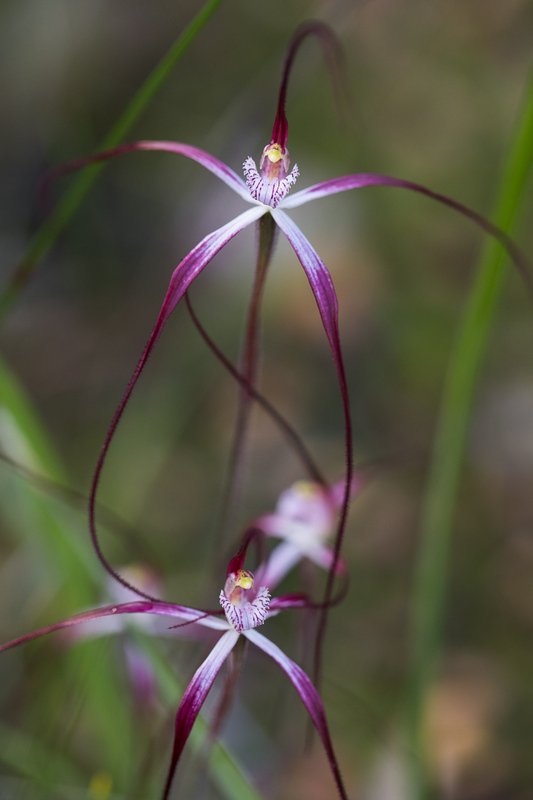 At one place we went to, there were literally hundreds, possibly thousands of blood spider orchid flowers. They grow in spectacular clumps of tangled red flowers. Its hard for the camera to render the colour accurately, and I don’t think I’ve done quite the right job in Lightroom in some of the photos. 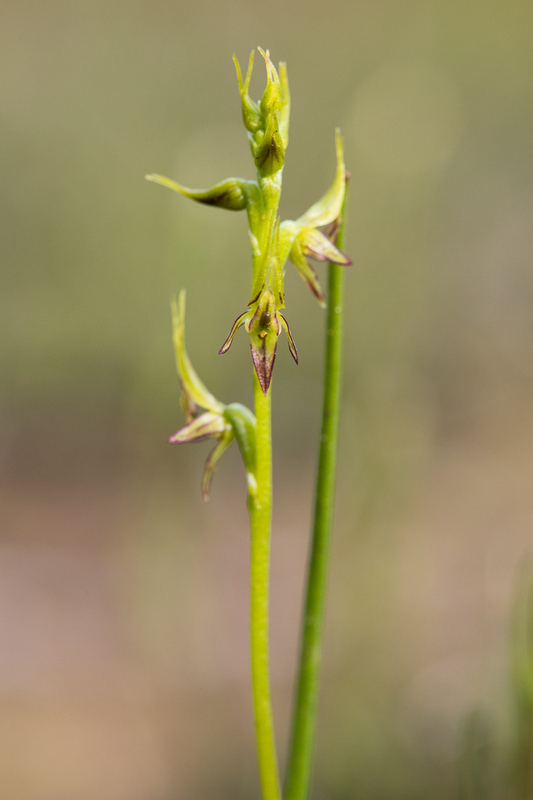 Dwarf bird orchid, Pterostylis sp. I don’t have my book with me and can’t remember whether this species has been named yet. The following Sunday I really had fieldwork to be done. But Ross and Caz managed to lure me out for the afternoon with the promise of another beautiful sun orchid, the eastern curly locks. I was searching for more populations of the slender snail orchid for measuring fruit set, when I stumbled across this remarkable colony growing out of a palm stump. Must have been close to 150 flowers! Incredible. One final afternoon, after fieldwork and just before flying back home… I squeezed in a few hours at Wireless Hill, a small but wonderfully diverse patch of bush right in the suburbs. This was also a chance for me to test out a new lens I had just bought - the famous Zeiss 100mm f2 ‘Makro-Planar’. Can you tell the difference?? I’m joking of course. But I plan to do a direct comparison review between the Zeiss and the Canon 100mm macros to see if the reason I got the Zeiss (micro-contrast, colour) was justified and whether there is much of a difference between the two lenses. 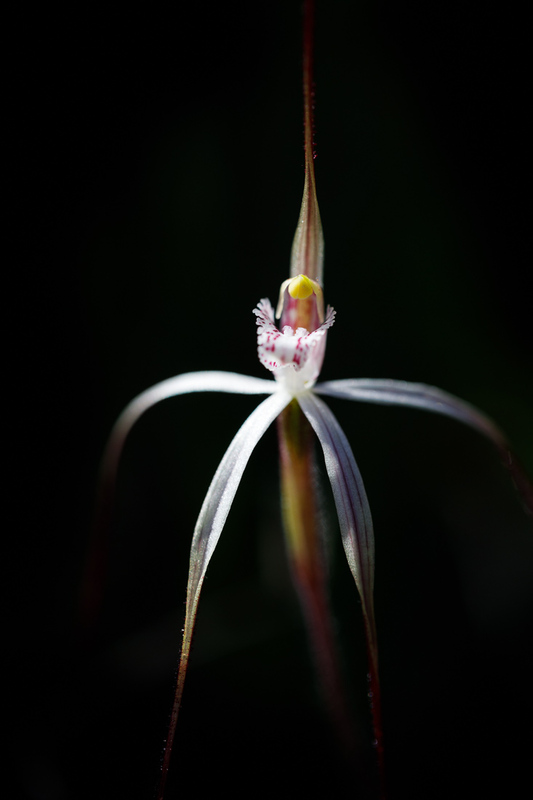 One of my favourites, the Dancing spider orchid Caladenia discoidea. It is not easy to get the right angle to do them justice.